My relationship with writing started in theatre. Whether I write my own plays or I rework famous ones, it is essential for me to work with the actor and analyse the “necessity” of words and to choose the right music. Playwriting is like exploring the aftermath of a shipwreck, to recreate the world on stage rather than on the page. To me a playwright resembles a maker of stringed instruments who creates, carves, sands, prepares and assembles all the pieces to make a violin play. Born in Naples and with a scientific background, Dalisi approaches the theatre scene when in 1999 she moves to Bologna and starts to work as a volunteer in Leo de Berardinis’ theatre. Since then, she has worked as assistant director to Pierpaolo Sepe and Renato Carpentieri. She has written plays for the 2004, 2005 and 2008 editions of Renato Carpentieri’s project Museum. 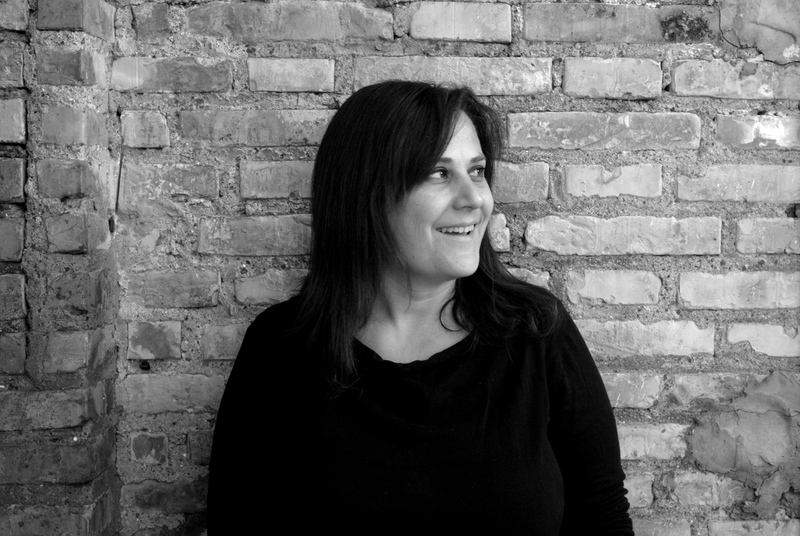 In 2007 she starts to contribute to the magazine Hystrio and in 2008 Più leggero di un sughero (Lighter than Cork), that she will direct the following year, receives a special mention at the Nuove Sensibilità Award. In 2010 she works on the dramaturgy of WNiatri, directed by F.Ferracane- D.Pilli-M.Riondino and [H] L_DOPA directed by Antonio Latella. Dante&Descartes publishes Messa in scena della mafia, her essay on the work and method of Emma Dante, based on the rehearsals diary of Cani di bancata (Bancata Dogs). As an author for Naples’ Nuovo Teatro Nuovo season 2010-11 (artistic director Antonio Latella), she writes La fame (Hunger, directed by A. Cornelio); Misfit like a clown (her direction); Guardami (Look at Me, directed by P. Sepe); and contributes to the composition of Madame e RosaLux (directed by P. Diogo). In 2011 she assists Antonio Latella in writing the dramaturgy of Don Giovanni, a cenar teco (Don Giovanni, to dine with thee) staged at Teatro San Ferdinando in Naples. In 2012 she stages for Start/Interno5 Mentre d’intorno infuria il mondo (While the World Rages Around Me, freely inspired by Andersen’s The Steadfast Tin Soldier) and co-writes with Antonio Latella the dramaturgy of C’è del pianto in queste lacrime (Something is Painful in These Tears directed by A. Latella). In 2013 she writes and directs Il silenzio della ragione (The Silence of Reason), last chapter of the project Il mare non bagna Napoli (The Sea Does not Touch Naples) staged at the Ridotto of Teatro Mercadante. In the same year she co-writes with Portuguese director Paula Diogo the dramaturgy of Poder, which debuts at Festival de Almada, Teatro Maria Matos in Lisbon. She has been directing since 2010 a workshop for non professional actors from all around the world and stages with them Poi piovve la città (Then The City Rained, 2011), Dopo cento giravolte (After 100 Turnabouts, 2012), Primo studio su La dodicesima notte di Shakespeare (First Study on Shakespeare’s The Twelfth Night, 2013 – in the same year Pungitopo Editore publishes her book-diary on the workshop Poi piovve la città), Che terra è questa (What Land is This, 2014). In 2014 she curates the dramaturgy of Peer Gynt directed by Antonio Latella, staged at Teatro Staryj Dom, Novosibirsk (RU), and co-writes with Federico Bellini the dramaturgy of Faust Diesis, graduation exhibition of the students of Silvio d’Amico Dramatic Art Academy. In 2011 she founds with Antonio Latella the Stabile Mobile Compagnia. The play is a rather faithful adaptation of Heirich Böll’s novel, which is well known but it is worth summarizing the plot and context. Hans Schnier is a young clown who returns to Bonn after the umpteenth disastrous performance. Not only is he suffering because of an injured knee, but also because Maria, the woman he had been living with, has left him. Hans, grown up in a Protestant family, is still in love with the Catholic Maria who instead of carrying on an “illegal” relationship with an artist, decides to marry the Catholic Züpfner and have a “legal” union. Hans, now alone, is sad and resorts to alcohol; however, his monologue clearly describes the hypocrisy of the bourgeois society, be it Catholic or Protestant, he freed himself from through the boundless nature of love without marriage and art with no guarantees. In the same way he did not marry Maria as he did not want to sign a paper agreeing to raise his children as Catholics, he then refuses financial support offered by his father as he should enrol in the academy and be part of the “system”. Hans has always blamed his father for his stinginess typical of a millionaire industrialist and his mother for encouraging his younger sister Henriette to volunteer for Flak anti-aircraft duty towards the end of the war as she never came back. The clown’s long lament (for Maria’s leaving, Henriette’s death and his own poverty) turns into a critique of the ambiguity of German middle class in the post-war years: at first secret supporters of Nazism against the “Jewish Yankees” and then Christian democrats allied with America (an example is his brother Leo converted to Catholicism). Once Germany is a democracy again, the middle class is ready to include its rites and prejudices in the new social arrangement. Penniless and without anyone’s help, Hans Schnier decides to live as an artist in an even more radical way: playing the guitar on the streets, hoping people will throw coins in his hat. The play consists of Hans’ monologue calling on the phone the other characters (Henriette and Maria’s phones are silent). All characters participate in a game inspired by one of the novel’s leitmotiv, “Man do not go insane”. As in a sort of “game of the goose”, the players have pawns of different colours and the clown casts a big dice to play with them and with his melancholy, ending up going back to square one. The play is a rework of Lacreme napulitane (Neapolitan Tears) a most famous theatre piéce belonging to the genre (or subgenre) of Neapolitan “sceneggiata” – a play typically based on a traditional song. The original story is about a man emigrated to America out of necessity, who forgives his wife’s “sin” for the sake of their children and a sense of family that exceeds the pain of distance and desertion. The sentimental melodrama is completely deconstructed and reversed in rewriting: the new title alludes to Hamlet (“Something is rotten in the state of Denmark”) and also alludes to how viscid and repellent melodrama can become when the relationship with tradition expresses the reductive and reactionary middle class vision of family ties and social relations. The characters are the same as in Lacreme napulitane, but are here seen as horrible insects and sewer rats – all of them but one, the confused Giannino who is placed in a separate space from the tunnel where the others fidget. In the end Assuntulella, the sick child who does not appear on scene in the family context, is revealed as an androgynous: she is Giovannino, the son “who remembers”, a Hamlet-like “Edward Scissorhands”, but also a monstrous hybrid to be kept segregated, the unmentionable ambiguity of the genre itself: Assuntulella “is” the sceneggiata, the dark and suffocating side of tradition when it is “sick”. Anna Maria, “a gypsy absorbed in a dream” is a young writer sent by her publisher to Naples, the city she had left five years earlier, for a special report on Neapolitan young writers and intellectuals. Professor Lidenbrock, a character from Journey to the Center of the Earth by Jules Verne, introduces himself as her guide for this trip. This childhood memory reveals that Anna Maria’s journey will be a descent into hell (the hell of the city, of memory and lost ideals). Anna Maria meets Luigi Compagnone, Pasquale Prunas and Domenico Rea, three intellectuals of the group that founded the magazine “Sud” in 1947; but now they have lost the ideals and political passion that only four years earlier, in the immediate post-war years, had inspired them to promote a cultural renaissance free from ideological dogmas. At the time they were hindered by the right-winged conservative and reactionary middle class, but also by the Communist Party, rigidly locked up in its Zhdanovism. After the publishing of a few issues, the magazine did not survive its financial problems and the group disbanded. Raffaele La Capria and Anna Maria herself left Naples, while others adapted themselves to the new condition perhaps without being aware of their failure. They surrendered to the sleep imposed by a benign but oppressive Nature on southerners, who are entangled in the “silence of reason” no revolution will ever break. At some point the three men wear masks representing “tired birds” and intervene to symbolize alternatively imagined past and present: Anna Maria intertwines the story of 1953 with the subsequent bitter development of the relationship with her friends including accusations, acrimony and her painful defences. The journey into the past reveals more images from the story as well as from others stories, letters, articles and parallel books (Venice Saved by Simone Weil). The story ends with the bright evocation of a lost youth (the editorial staff of “Sud” full of enthusiasm and love for the city they wanted to change) as Anna Maria falls asleep. A pale moon and a lion watching over her sleep remind us of “The Sleeping Gypsy” by Rousseau (and thus Elio Vittorini’s description of Anna Maria Ortese as “a gypsy absorbed in a dream”) as well as the quote in the text of the play “Our fathers were lions” taken from an article by Anna Maria Ortese herself.